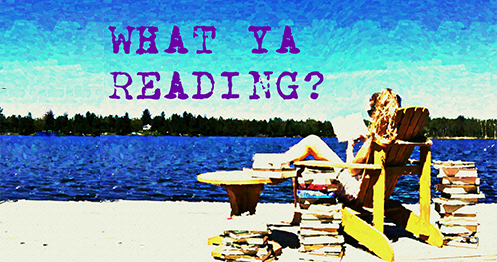 Burn for Burn | What YA Reading? Whew! This month has just been dragging along. Long time, no reviews. High school exams are so not my idea of fun. The good news? I won’t have to deal with them again until June. The bad news? This semester I’m taking two language classes, so I’ll have less time for pleasure reading. Total downer. At least non-pleasure reading involves a few classics, and those are always interesting. I’ve just begun Pride and Prejudice, and let me tell you that I did not expect Darcy to be as catty as a teenage girl. Tall, dark, and handsome, sure, but that doesn’t make up for everything else. But on to Burn for Burn. I wish that I could tell you that Han and Vivian’s first collaboration was a smoking hot read, but alas, it isn’t so. Sure, it got fiery, but as blazing as its title would lead you to believe? I don’t think so. Let’s, however, start this review on a positive note. Nonetheless, Jar Island isn’t quite as lovely as it first seems. Its charming character entails a few unfortunate back stories. Lillia, for instance, had an action-packed summer. She’s just hoping that her little sister won’t be as adventurous as she was. Kat has been the hot topic of the rumor mill one too many times, and is ready to let her ex-BFF take that spotlight. Mary has just moved back to town, ready for the first time in years to confront the ghosts of her past. Each one of these ladies has been burned, and they’re ready to repay the favor. And, boy, if hell hath no fury like a woman scorned, than you can only imagine the terror wreaked by three such women whose resources are pooled. I’ll tell you one thing: it’s not pretty. 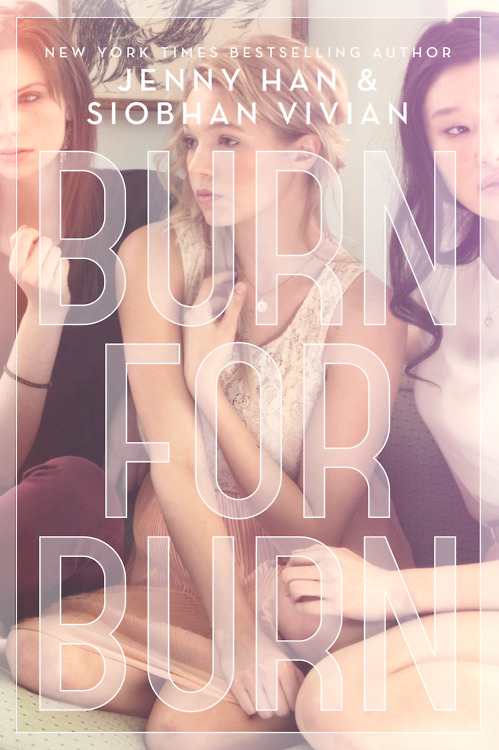 Burn for Burn‘s narration varies, featuring these three protagonists’ points of view in different chapters. This isn’t as confusing as you might think, though, and I have to say that I very much appreciated this element of the novel. Their unique voices and different perspectives showcased different dimensions of each character. Moreover, their staggering flashbacks, which revealed their every little secret bit by bit, were extremely well done. These definitely kept the suspense high and the pages turning. My final aftertaste of this novel is actually something haunting. I’m surprised by how well it captured the desperate attempts to attain popularity, the cruelty of the popular, the betrayal dispatched in order to better reputations, the loss of friendship, the loss of innocence and the loss of priorities that plague students everywhere. If nothing else does, this component of Burn for Burn merits recognition. Despite my high praise, I have a few issues with this novel, the first of which being its ending. And what an ending that was. Emotional? Yes. Unforeseen? Yes. Satisfying? Absolutely not! To be fair, I guess that I came into this whole thing blind. I had no idea that Burn for Burn was the debut of a trilogy when I picked it up, so you can imagine my shock when I flipped to the last page and found a total of zero resolutions. Had it been another hundred or so pages longer and thus transformed into a standalone, my quench for an overall good read would have been assuaged. But as it stands, I’m more than a little surprised; I’m downright aghast. There is a fine line between cliffhanger and ending-less. Suffice it to say that Han and Vivian have crossed that line. I was once again astounded when I came across the hint of something paranormal towards the end of Burn for Burn. Apparently, when it comes to the unexpected, these author just won’t give us readers a break. As much as I admire their attempts at originality, sometimes simplicity is key. This is one of those times. A good, cold plate of revenge is exactly what I wanted– no more, no less. Again, if Burn for Burn had been a standalone and perhaps lost this paranormal element, I would have been a much happier camper. Finally, Burn for Burn merits 3.1/5 stars. I recommend this one to those of you who have been burned before, need something unexpected in your lives, and enjoy unhealthy doses of suspense.As for the sequel, my interest is piqued, but my guards are up.